New York : Women who begin menopause before age 46 or after 55 have an increased risk of developing Type 2 diabetes, according to a study. The study found that women who had their final menstrual period before age 46 were 25 per cent more likely to develop Type 2 diabetes, compared to women who had their final period between ages 46 and 55. Women who had their final period after age 55 had a 12 per cent increased risk of developing diabetes. The study, published in the journal Menopause, showed that after menopause, estrogen levels decline and this puts women at higher risk to increased body fat and appetite, decreased metabolism and high blood sugar levels. “Our study suggests the optimal window for menopause and diabetes risk is between the ages of 46 and 55. Women who start menopause before or after that window should be aware that they are at higher risk, and should be especially vigilant about reducing obesity, eating a healthy diet and exercising. These lifestyle changes will help to reduce their risk for type 2 diabetes,” Erin LeBlanc, Researcher, Kaiser Permanente Center for Health Research said. For the study, the researchers took samples of more than 1,24,000 women enrolled in the Women’s Health Initiative a large trial aimed at preventing disease in postmenopausal women. 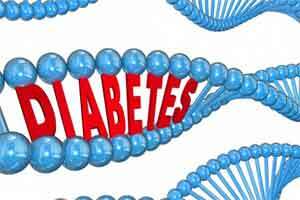 The study also found an association between the length of a woman’s lifetime reproductive cycle and her risk of developing type 2 diabetes. The study also suggested that women with the shortest lifetime reproductive cycles (less than 30 years) were 37 per cent more likely to develop diabetes than those with medium length reproductive cycles (36 to 40 years). Women with the longest reproductive cycles (more than 45 years) were 23 per cent more likely to develop diabetes compared to women with medium length reproductive cycles, revealed the study.